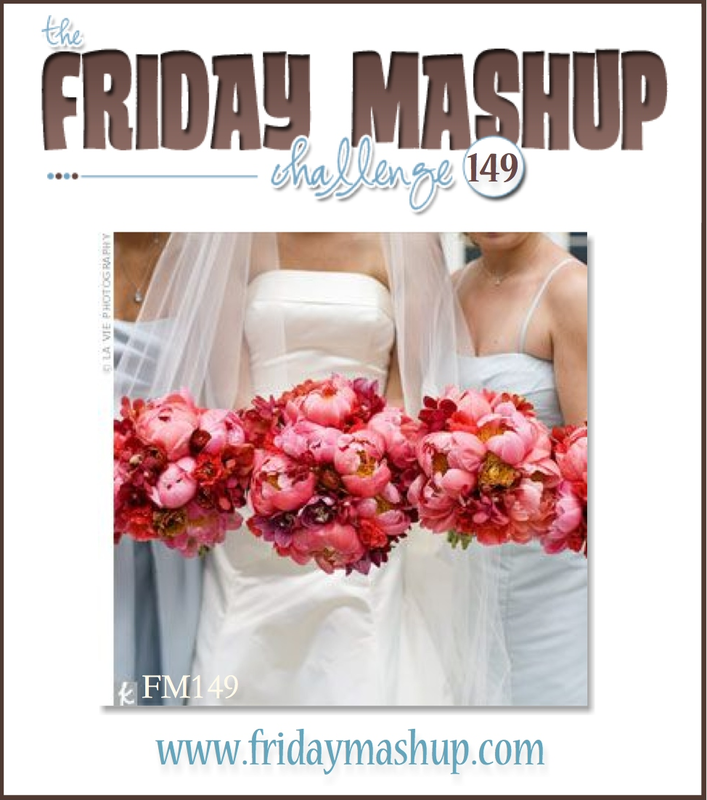 Hey, crafty friends, I am the hostess this week for the Friday Mashup # 149. I decided to lift our spirits from the winter blues by asking for some pretty flowers with an monochromatic theme to mash things up. I think Holly, our wonderful administrator, subliminally put pink in my mind…I don’t know if you can tell but I covered the En Francais background with vellum- in person- a beautiful soft touch. 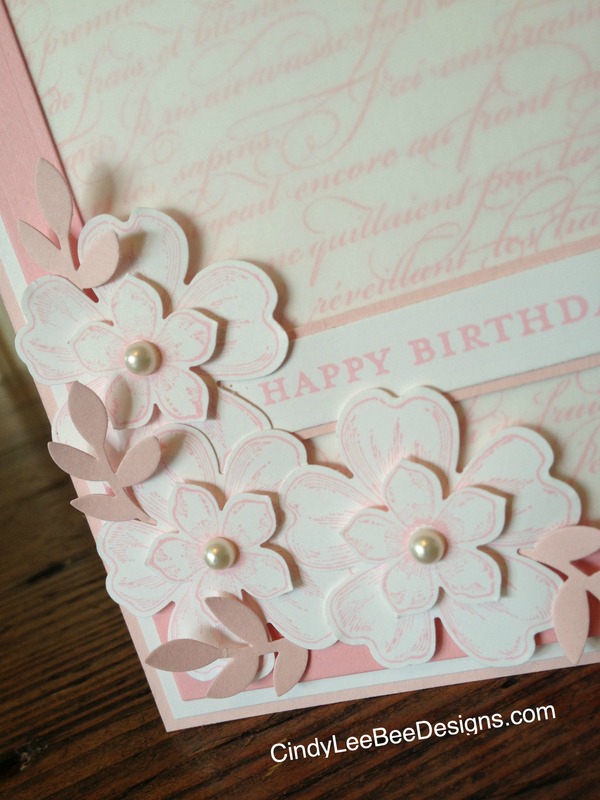 I paired up the SU Petite Petals with the SU Flower Shop- don’t you think they were just made for each other? I also played with my photo, too. 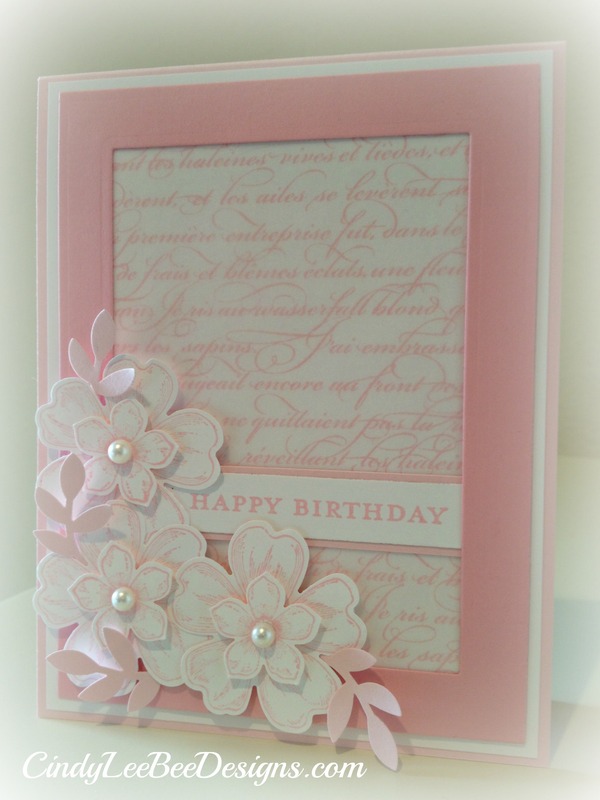 I added a matte finish to the subtle monochromatic pink…What do you think of it? 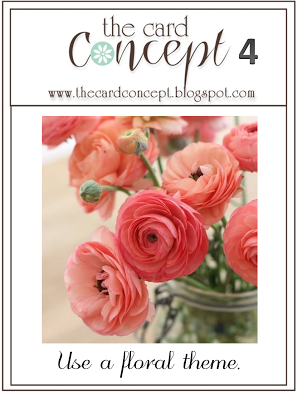 I thought I would play along with the crafters over at The Card Concept # 4 this week since their theme is FLORAL. This one is for you and you and you….. 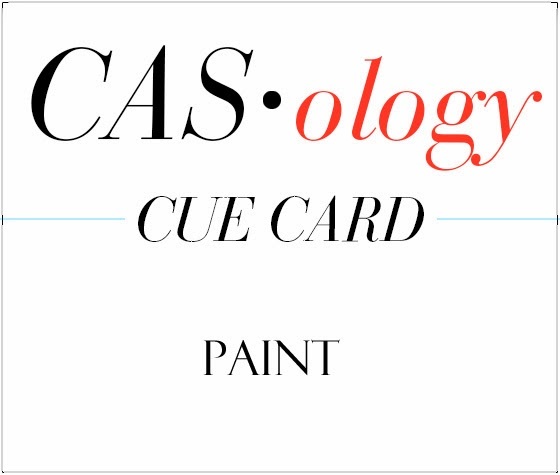 This card is for all of you fellow craftaholics out here…oh, we are many…I used a favorite set of mine that I do not know the name of to make this card for CASology # 84 Cue Word: PAINT. 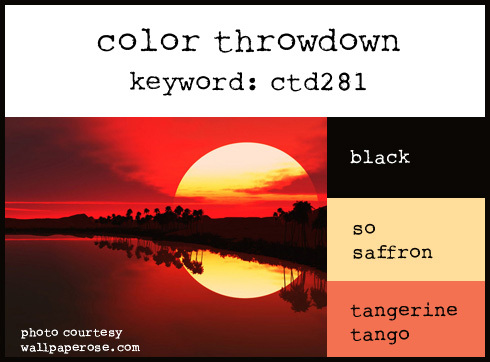 I also used the colors from the Color Throwdown Challenge # 281. My hubby always orders those address stamping thing-a-ma-jigs, and they always end up running out of ink or not stamping completely. I suggested he purchase his supplies from a reliable demonstrator who has a great product line…a stamp that will outlast his other ones! And since we just moved- this was a perfect time to order personalized stamps from Stampin’ Up! Many of you may have not even noticed that you can order your own personalized stamps on page 135 of the Annual Catalog. Or you can view it HERE. 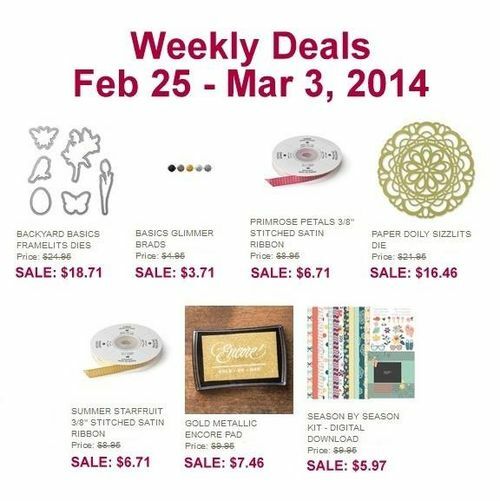 And don’t forget to check out the WEEKLY DEALS…. I finally got to play cards with the MUSE gang this week. 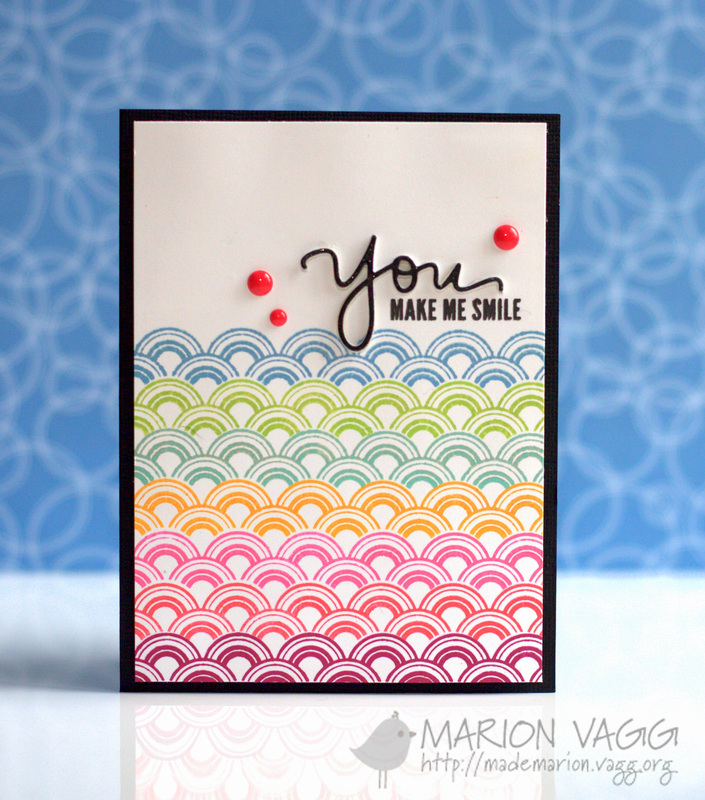 Marion has a fun card for inspiration for Challenge #54 . I am sure you can see how I was inspired by its design and colors. 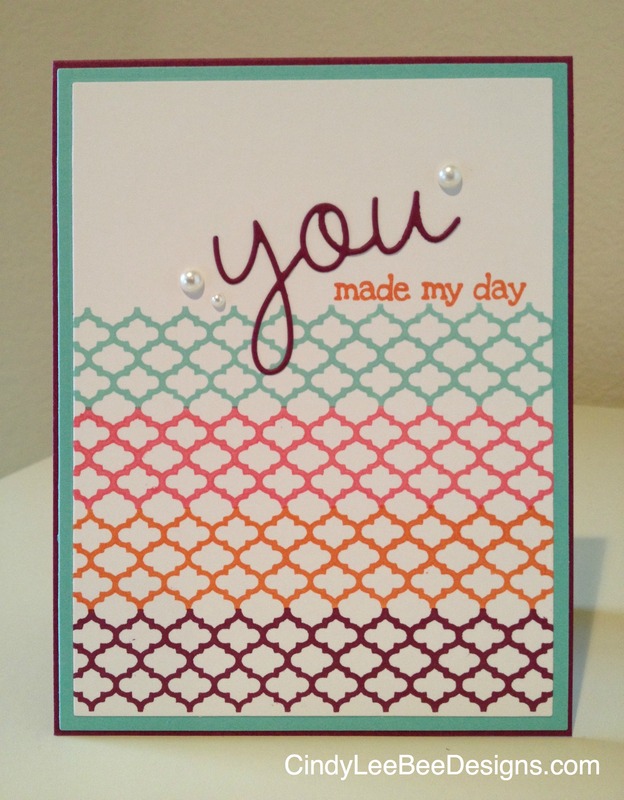 My card looks simple (and it is) but I must have stamped that lattice from SU Summer Silhouettes six times! Each time I did something goofy like drop the acrylic block or touch it before it was dry. But in the end, my Stamp-a-ma-Jig pulled me through, and it all came together. 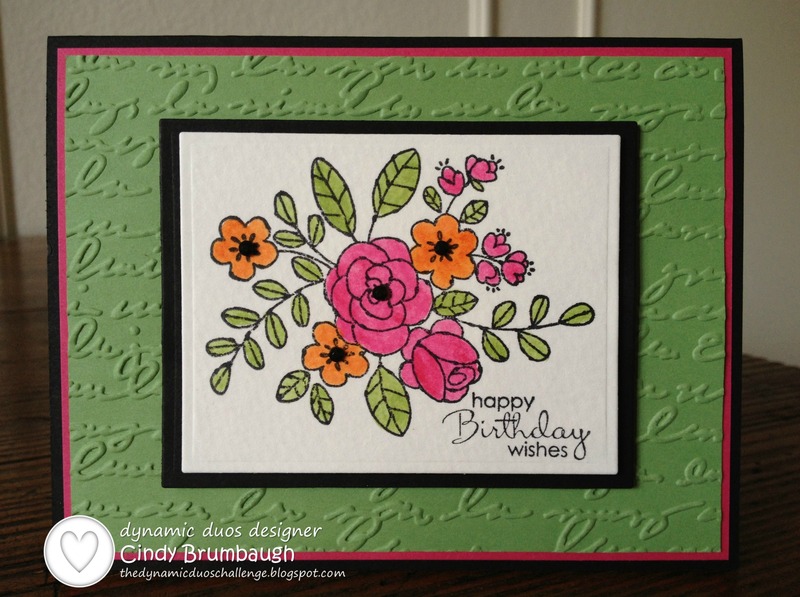 I always love a color challenge that includes green so I can play with flowers! 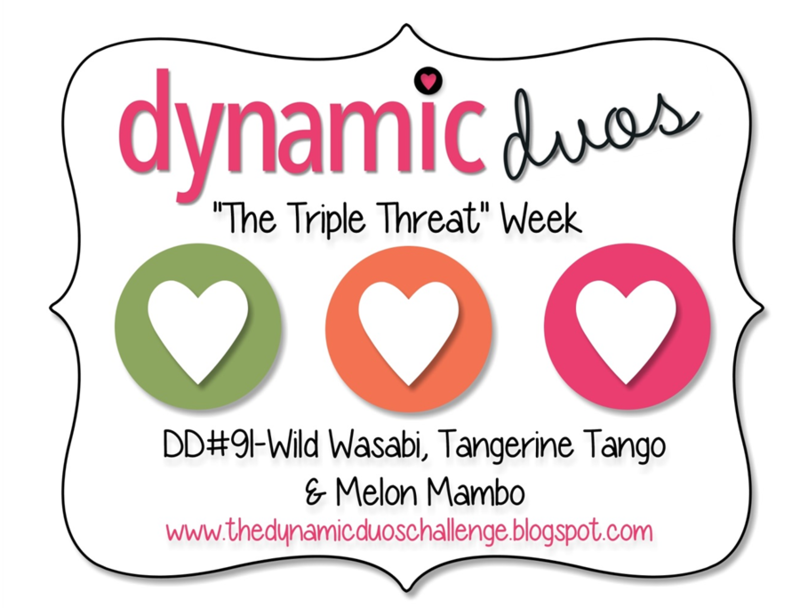 I just recently succumbed to the whimsical posies from the SU So Very Grateful stamp set so I decided to use it for the Dynamic Duos # 91 Triple Threat Challenge this week. I used my SU blender pens to color the image I stamped on Watercolor paper with waterproof Stazon Jet Black ink. I can’t wait until SU releases their new Blendabilities alcohol markers so I can try them out. 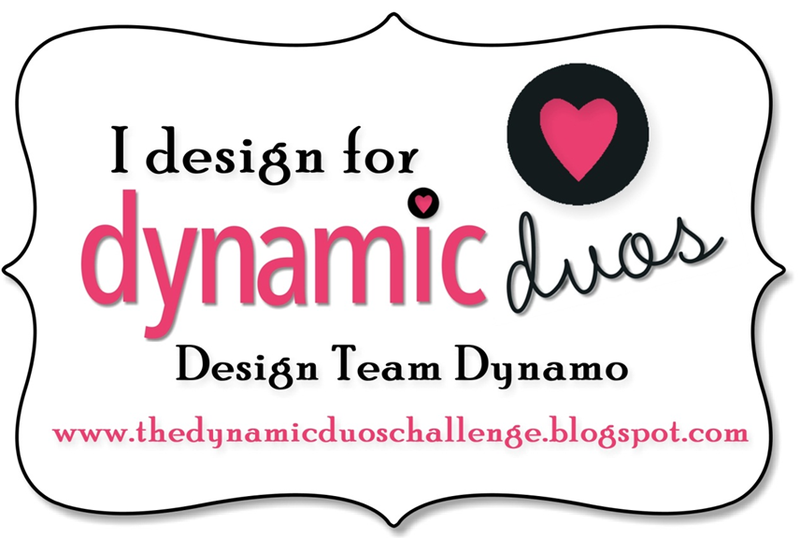 I just love that they will coordinate with the SU Color Families of ink, paper, DSP, ribbons, and buttons. 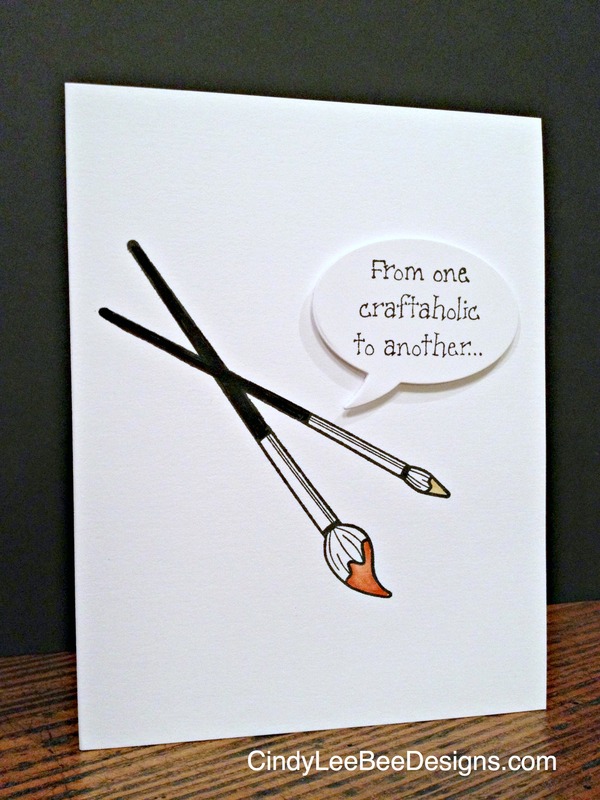 Color coordination is one of the main reasons I love Stampin’ Up products!